Noosa Turf recommends having one of their team members meet you on site to determine the best species of grass suited to the project environment and elements. If you would like to install the grass yourself, Mike and the team are more than happy to provide advice on quantities required and the best installation and after care techniques to get your lawn well established and looking its best for years to come. Contact Noosa Turf to arrange your measure and quote! Sapphire Buffalo grass is comparable to Sir Walter grasses, however the benefits of Sapphire far outweigh Sir Walter. The biggest difference between the two is Sapphire offers a much finer leaf, which means the grass is softer underfoot than most. In addition Sapphire is a far more cost effective option in comparison to Sir Walter. Most Buffalo varieties tolerate shade well. Excellent tolerance to all coastal conditions. Once the deep root system is established Sapphire tolerates drought well. Excellent, with a fast recovery process. Tested down to -10 in Canberra, Sapphire tolerates cold conditions extremely well. Ideal for Noosa and surrounds. Fine textured leaf. Once Sapphire grass gets its root system well established, the end result will be a lush, green and soft lawn. Approx cost is $9.50 per mtr, however dependent upon quantities required a discount may be available. Soft leaf buffalo Grass is ideal for Queensland’s coastal conditions. Tolerating sun and moderately shady conditions, Soft leaf buffalo Grass requires little maintenance and is aesthetically pleasing with it’s deep colouring. Soft leaf buffalo Grass thrives in hot, conditions. Ideal for Noosa and surrounds. Recommended Retail $7.00 per mtr. Our Buffalo Blend is another popular option for a midrange grass. Tolerating sun and moderately shady conditions, ‘Noosa Turf Buffalo Blend’ requires little maintenance and is tolerant to all coastal conditions. Buffalo Blends thrive in hot, conditions. Our Buffalo Blend has been developed for Noosa and surrounds. Buffalo Blends range from $4.40 per Mtr to $6.60 per mtr. Ideal for families, soft and light underfoot this grass tolerates wear and tear well. This grass has a soft broader leaf texture and requires less maintenance than most as it is a slow growing grass and as a native has adapted to tolerate Queensland’s fluctuating wet and dry climate. Only approximately 5 hours sunlight required per day. Perfect grass with children and pets. 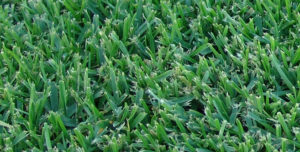 Carpet Grass is a great family grass, requires little maintenance and tolerates Queensland’s climatic conditions well. Carpet Grass Recommended Retail $5.50 per mtr. Another of our blended grass varieties. Shade grass features a very broad leaf texture and has been developed specifically to withstand shady conditions. Call Noosa Turf for current pricing on (07) 5449 1224 or email info@noosaturf.com.au to discuss your turf requirements.